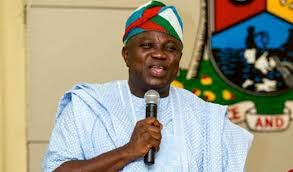 Governor Ambode approves the increase of BRT, LAGBUS fare, this change is to take effect from March 1, 2017. This was made known by Engr. Abiodun Dabiri, LAMATA Managing Director, who addressed journalists at Bagauda Kaltho Press Centre, Alausa, on Monday. Dabiri said that the bus fare will be increased from 20 to 50 percent due to the economic downturn. Dabiri revealed that a BRT trip from Ikorodu to CMS will now cost N300 from the former N195, while a trip from Ikorodu to Mile 12 which was valued at N75 will henceforth be N100. “As a result of the economic downturn, public transport had been severely impacted as all related costs had escalated beyond any financial forecast or projection. The current government was focused on a strategic reform of the public transport operations in order to create world class public transport infrastructure and support for operations that is modern, cost effective, safe and sustainable on the long run,” Dabiri said. 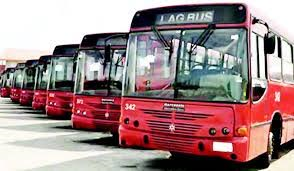 He revealed that the Lagos state government is taking this measure so as to avoid the transport franchise from collapsing, considering the state of the economy. He revealed that as part of the process to make transportation affordable, private sector operators will be licensed to assist in providing safe and affordable transportation. “The current financial crunch, however, has seen average cost of operations increase to up to about 110 percent. With cost of fueling going up by 71 percent, oil prices up by 64 percent, tyre costs up to 90 percent, continued operations is thereby threatened.